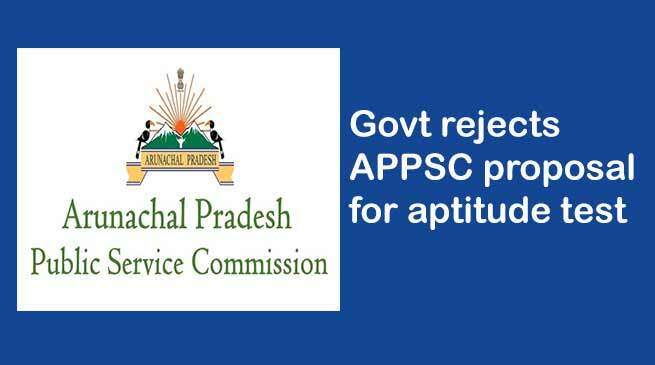 The proposal of Arunachal Pradesh Public Service Commission (APPSC) for the aptitude test was denied in place of optional papers by the State Government on Wednesday. The State Government directed APPSC to re-conduct the preliminary examination strictly as per the guidelines of APPSCE Rule 2001. The fresh examination will be held in April and May month of next financial year, however, dates for the examination will be decided after consulting exam schedule of UPSC, RGU, CBSE, and SSC. Earlier, this year APPSCE examination was postponed after the complaint of the aspirants alleging of copy pasting pattern from the various sites and spelling blunders and many more errors found in all subjects. Hence, there was the report of Aspirants protesting outside the state Public Commission office against the APPSC staffs and officers, demanding the resignation of the APPSC Commissioner and to re-conduct the preliminary examination.